Our local pastor, rector and parish priest is the Rev. Laurent Cleenewerck who was ordained in 2004 and assigned to serve in Eureka in 2007. 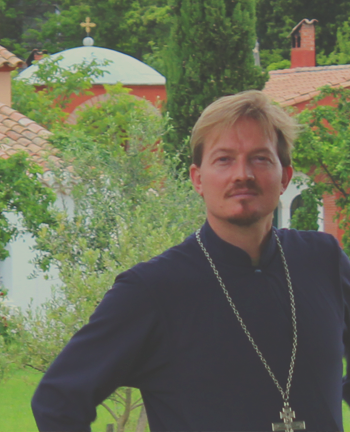 Fr Laurent was born in France in studied business administration and computer science before pursuing the ministry. He graduated from the “Institut Saint Serge” (in Paris) with a licentiate in Orthodox theology, and also attended the ministry program at Saint Tikhon’s Orthodox Theological Seminary in South Canaan, Pennsylvania. He went on to obtain a Master’s in Ecumenical Studies from the Ukrainian Catholic University and a Doctorate from the Saint Gregory Nazianzen Institute. Fr Laurent is the author of “His Broken Body: Understanding and Healing the Schism between the Roman Catholic and Eastern Orthodox Churches” which is widely considered as the most comprehensive and balanced treatment of the Great Schism between the Roman Catholic and Orthodox Churches. He has served as the Editor of the well-received Eastern / Greek Orthodox New Testament (EOB translation) and is now working on the forthcoming “Revised Catechism of the Orthodox Faith” due out in 2019. Fr Laurent is locally active as “extension faculty” for HSU’s OLLI program where he was taught a number of popular courses, ranging from Quantum Physics to Economics, Byzantine history, Early Church studies and French. He is also engaged in developing socially-oriented employment opportunities in Eureka and Fortuna. Locally, he has also helped musicians and vocalists produce and release original music, including the forthcoming Sacred Skies album (2019). He is happy to live and serve in Humboldt with his wife (a Eureka native) and 4 children. He is always happy to meet with anyone interested in the Bible, the Christian faith, the life of the Church, or just life in general! 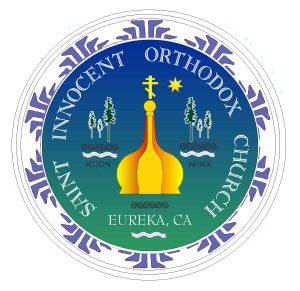 You may contact him by email at: rector@eurekafirstchurch.com or via the Church Office at (707) 443 2099.